Dr. Katrine Voie graduated from Louisiana State University School of Veterinary Medicine in 2008. 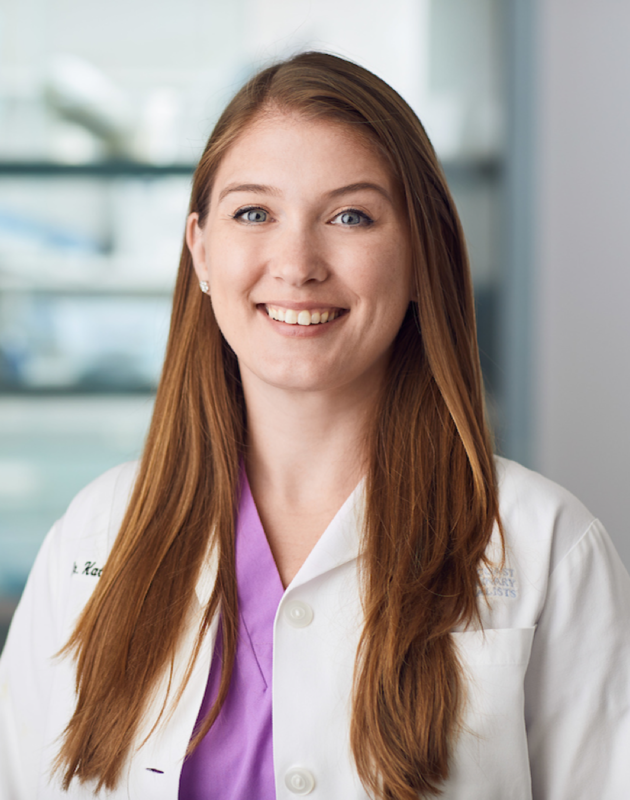 After graduation, Dr. Voie completed a one-year small animal medicine and surgery internship at Cummings School of Veterinary Medicine at Tufts University, followed by a dermatology internship at Red Bank Veterinary Hospital. She completed her residency in dermatology and earned a master’s degree from the University of Illinois in 2013. Dr. Voie became a board-certified veterinary dermatologist in 2013. Dr. Voie enjoys yoga, baking, and spending time with her pets, friends, and family. She and her Bloodhound have fun in conformation and obedience. Dr. Voie and her nurse/assistant were friendly, pleasant, informative, conversational, and treated our Lucky as they would their own beloved pet. We are very happy with their service.